A non-profit organization pioneering the innovative work of arts-based psychosocial programming for youth and communities in areas affected by conflict. We engage conflict-affected youth and communities worldwide in collaborative art-making to nurture hope, cultivate well-being, and promote self-determination. Provide tools to create solution-oriented art: We create a platform for adolescents and community leaders to represent issues and values that are important to them. Facilitate opportunities for healing, relationship-building and knowledge-building: We create safe relational spaces for emotional expression and creativity. Build community: We facilitate discussion with a range of societal actors which allows them to communicate and connect around shared values, responsibilities and interests. Build partnerships: We work with international and local partners to build local capacity and increase the sustainability of our work through local ownership. All projects receive regular input from local leaders who form a community arts council. 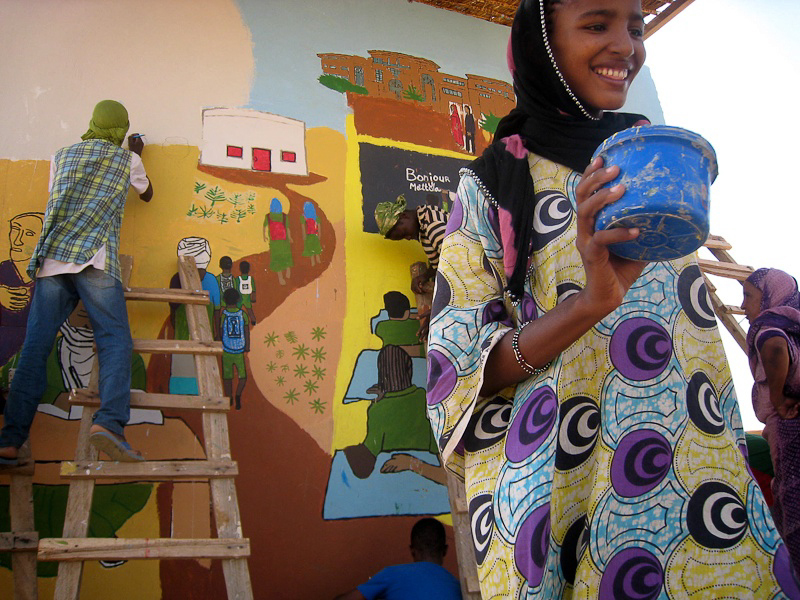 CC has successfully completed seven projects located in refugee camps and post-war areas in Sub-Saharan Africa directly benefiting 205 young people, and reaching an estimated 100,000 residents through a public mural-making process. Our projects have addressed the important issues of sexual violence, health promotion, peaceful cohabitation between ethnic groups, education for girls, and human rights.